Side Saddle: Hattie Does It Again! 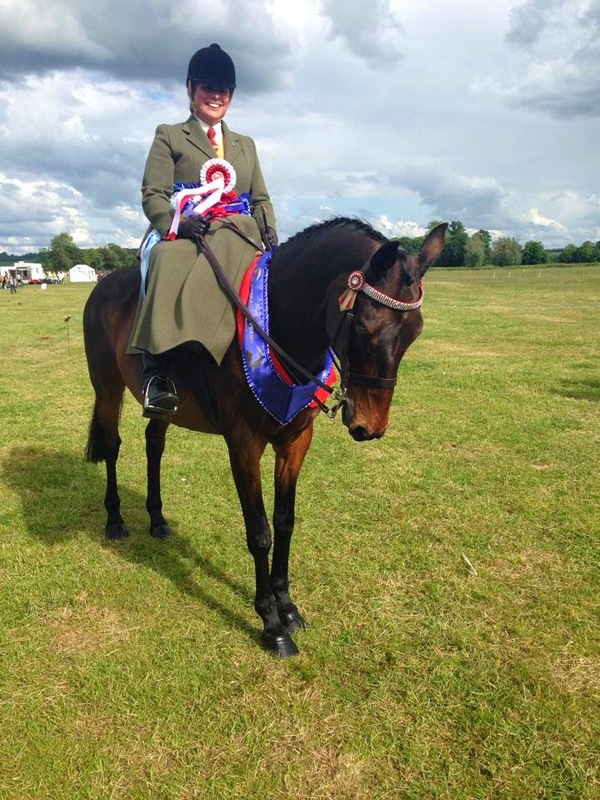 We had our second South Kilworth Riding Club show of the season on Sunday (two more to go!) and Hattie once again, pulled out all the stops. We came 2nd in Best Turned Out, 6th in Prettiest Mare (we decided to do a Fun Showing class as he had a huge gap in the day between Best Turned Out and then our afternoon classes), 2nd in Ridden Veteran, 1st in Style and Appearance and then we did two rounds of Clear Round Jumping. The at the end of the day, we ended up being Ridden Champion in the showing ring and then Reserve Supreme Champion!!! The show was VERY busy and it was a long hot day so am thrilled how we performed in the huge classes as we had stiff competition. There are a few things that we need to work on, namely our transitions as they were a bit sloppy and not instant on the day. I think that is a bit of laziness on the part of Hattie and then complacency on my part, some schooling in the paddock should cure that and sharpen us both up. As much as it is lovely having a soft school to ride in, I find it does make you go "soft". Our performances at shows are always better once we've schooled in a field and it helps with the jumping too. Hattie was good jumping at the show, more forward than usual but still lacking a bit confidence which I think she picks up from me. We were working on jumping in the school but again, Hattie equates the school with work and therefore the laziness comes out so you're always pushing her on. Again, some jumping in the paddock will increase both our confidence and sharpen us up. I think horses have taught me not to get too comfortable and complacent as even if you come home with champion rosettes, there is always something to work on for next time or something your horse will throw into the works just to "shake things up" a bit!